New defensive rounds from Daniel Defense. “Any ammunition is of concern to police in the wrong hands, but this specific round has historically not posed a law enforcement problem,” said James Pasco, executive director of the Washington office of the Fraternal Order of Police, the world’s largest organization of sworn law enforcement officers, with more than 325,000 members. With the increasing proliferation of wild hogs in the U.S. and the need to control their populations comes a new line of ammunition from Hornandy. In simplistic terms, the 9×23 Winchester is a stretched out 9mm Luger (pictured). Both are tapered cartridges with nearly identical neck, head and rim dimensions. The 9×23 case is 4mm longer, but more importantly the 9×23 operates at much higher pressure than the 9mm Luger. Winchester’s 9×23 brass has an extra-thick case wall that allows this cartridge to run at high pressure without concern of a case blowout in the unsupported region of a conventional, non-ramped barrel. The new cartridge is a combination of .460 S&W and .308. Tom’s description of the rifle, magazine, and shooter eerily echo that of other 300 BLK/.223 kabooms I’ve heard of, and in each instance, it appears that lighter .300 BLK bullets can be chambered just enough for a firearm to fire, especially with handloads that might not be seated at the correct depth. The new products are highlighted in this PDF. 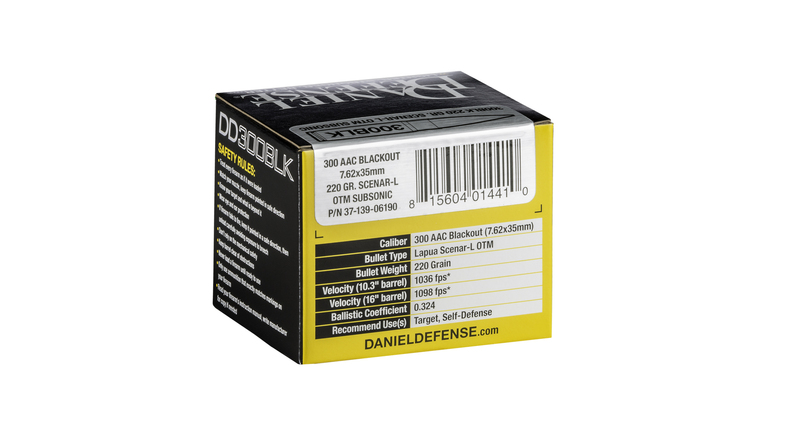 The 300 Blackout cartridge fits in the standard AR magazine without any loss of the original 30 round capacity. The standard bolt and barrel extension is used as well. The only difference is the barrel itself. This not only makes for easy logistical support for potential military use of the caliber, but you can pull spare parts from existing .223/5.56mm rifles. The sample rifle has been tested with GI aluminum magazines, H&K high reliability mags, Lancer AWM and Magpul PMags. Hunting Calibers Hard To Find? It’s not just .223 that is in short supply. Shotgun loads for shot and rifled slugs remain easy to find. But reflecting a national trend, availability of rifle and handgun ammunition in Pittsburgh area sporting goods stores is spotty and inconsistent. Many shelves are empty. A clerk at one local store, who asked that he and the retailer remain anonymous, said customers are going from store to store searching for common calibers and sometimes not finding them. The competition is taking place June 30 – July 1 in Grand Island, Nebraska. Sign up here. You can purchase their Zombie MAX ammo here. The bullet is flanged with four fins for straight flight, like a dart, which are encased in a plastic sabot that falls off as soon as the bullet leaves its smooth-bore barrel. The bullet has internal electromagnetic actuators that correct its flight; it doesn’t need to spin, it stabilizes itself. “The natural body frequency of this bullet is about 30 hertz, so we can make corrections 30 times per second. That means we can overcorrect, so we don’t have to be as precise each time,” Jones said.